This brand new technology launched in Australia in February 2017, however the treatment is not new to us as we conducted the first ever clinical trials for this revolutionary treatment, so our team are experienced in its use. 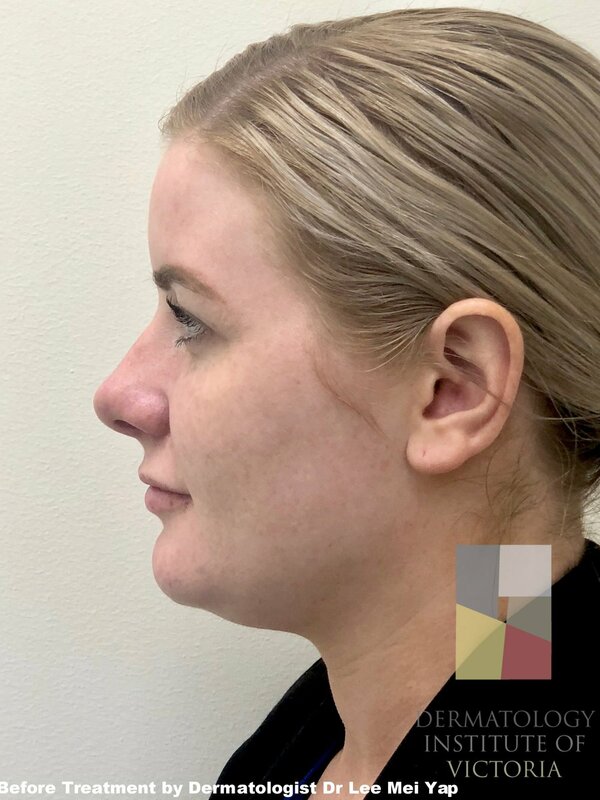 This procedure is designed to directly target a ‘double chin’ or more precisely the soft tissue fullness under the chin/ jawline that accumulates around the neck. By reducing the fat under the chin, a more contoured neck profile and jawline can be achieved. The injections used for this procedure are a prescription only medicine that contains a synthetic version of a substance that naturally occurs naturally in our bodies, and is produced specifically to help break down dietary fat. A number of injections are performed to the area and over the next 6 weeks the fat is broken down and processed naturally by the body. During consultation a treatment plan will be developed together with a practitioner to determine the number of injections and sessions that will be required, which is based on the amount of excess fat present. On the day of the procedure anaesthetic cream is usually applied to the area to help make the procedure more comfortable. Oral pain relief may also be given and sometimes local anaesthetic injections may also be used. The practitioner marks up the area using a special grid, which determines how many injections are needed. Ice is then applied to numb the area and the injections are performed. It is common to experience a hot/ stinging sensation during the procedure but this subsides almost immediately. The procedure will take anywhere from 5-30 minutes depending on the size of the area treated. It is usual for the injection site to start swelling immediately after the procedure. Swelling will generally last for up to 1 week. Swelling shows that the agent is working to destroy the fat cells, it is expected and a good sign. Side effects can include bleeding and/or bruising, redness, needle marks and acne like skin eruptions. All of these should also subside within 1 week.